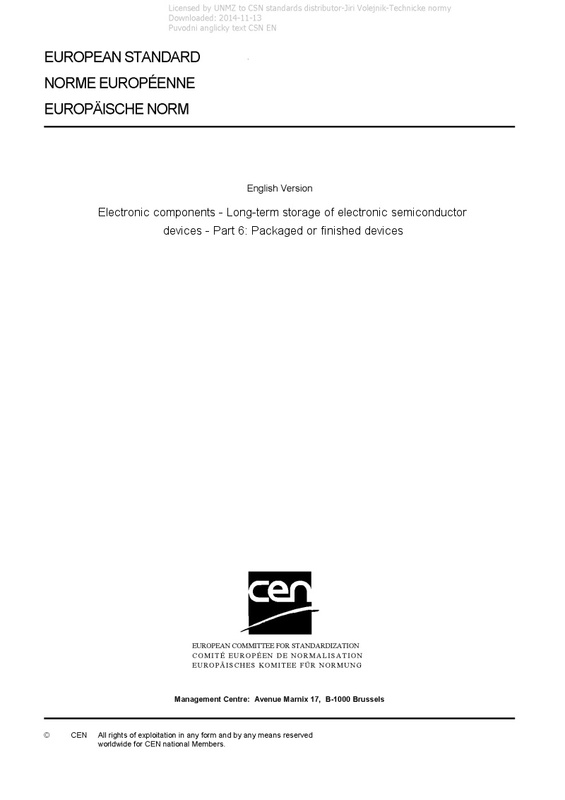 EN IEC 62435-6 Electronic components - Long-term storage of electronic semiconductor devices - Part 6: Packaged or finished devices - IEC 62435-6:2018 on long-term storage applies to packaged or finished devices in long-term storage that can be used as part of obsolescence mitigation strategy. Long-term storage refers to a duration that can be more than 12 months for product scheduled for storage. Philosophy, good working practice, and general means to facilitate the successful long-term storage of electronic components are also addressed.